The Mirror Lake Campground is the perfect getaway for your family’s next camping trip! Come and explore Utah’s majestic Uinta Mountains by staying next to a beautiful alpine lake with activities for every age. Although Mirror Lake is one of the busier places in the area, it provides a phenomenal backdrop for a picnic or a nice day of fishing for trout. 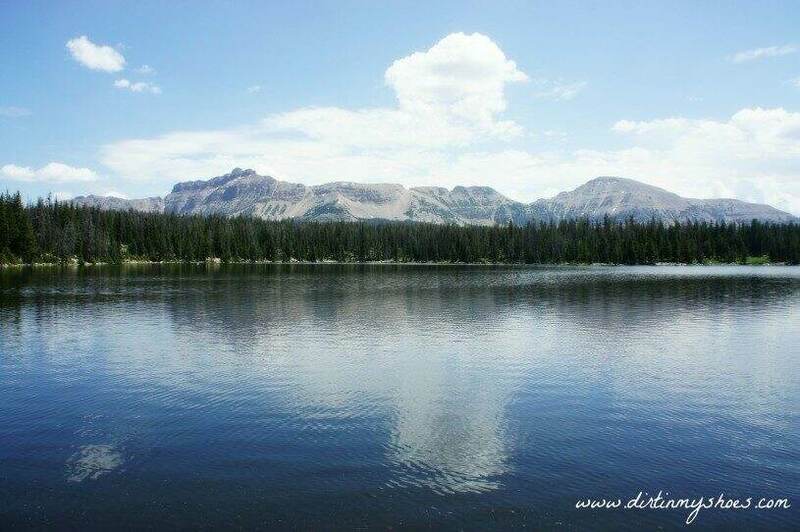 We love the Uinta Mountains…stunning lakes can be found everywhere you turn and the hiking trails are top-notch! In these mountains, it isn’t hard to find a great view and a nice peaceful area to enjoy the great outdoors. We enjoy the Mirror Lake Campground because there is something for every age and ability to enjoy. Your kids will never be bored! Mirror Lake sits at 10,400 feet above sea level! Weather at this elevation tends to fluctuate and have a mind of its own, so be ready for anything…especially afternoon thunderstorms and frigid nighttime temperatures. The sun’s rays are strong and harsh at this elevation, so don’t forget to apply sunscreen. Also be prepared with bug spray for the mosquitoes that swarm the lake in July and August. Although the campsites are not directly on the water, many of them provide a view of the lake through the trees. 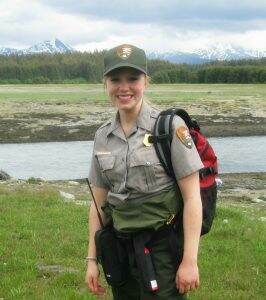 If you are looking for a site nearest the water, try to reserve sites 40-52. Sites 4-30 along the outer edge of the loop are against a cliff and mark the end of the camping area. Some of these sites would not be ideal for small children, but most are just fine and provide great views of the valley below. Check the map and click on individual campsites to look at a picture and find a site that will best suit your needs. This campground fills up fast during peak season, which runs from the middle of July to the beginning of September. During peak season, I strongly suggest you make a reservation by clicking here. Reservations must be made at least 5 days before your desired dates, but can be made as far as 6 months in advance. Before and after peak season (end of June to the middle of July and the month of September), walk in sites are available on a first-come, first-served basis. Campsite prices start at $20 per night. The Mirror Lake Campground has drinking water and vault toilets. Bring a few trash bags with you so that you can pack out your garbage…the day-use area dumpsters are often completely full. This campground is the perfect location for the many activities you can enjoy along the Mirror Lake Highway! Non-motorized boats are allowed on Mirror Lake and a boat ramp is provided so plan on bringing some rafts, canoes, or kayaks to get out on the sparkling blue water. Fishing is a popular activity as well. A beautiful interpretive trail surrounds the lake and provides great views of the surrounding mountains, as well as some nice picnicking spots along the way. One of our favorite hikes, Ruth Lake, is just a few miles down the road. The opportunities are endless! From Salt Lake City, take Interstate 80 East for approximately 30 miles until you reach Highway 40, exit 146. Head south on Highway 40 for about 3 miles before taking Exit 4 to Kamas/Park City. Turn left onto Highway 248 and follow the road for 12 miles. When you reach Main Street, take a left and drive two blocks until you reach Highway 150. Turn right onto Highway 150 and drive for approximately 32 miles to reach Mirror Lake Campground. 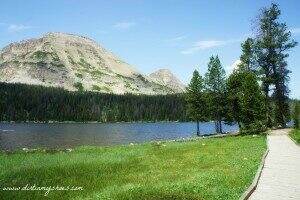 Have you been to Utah’s Uinta Mountains? Do you have a favorite spot? Let me know in the comments below! Shhhhhh! Help keep it secret! The lakes along Mirror Lake scenic route are amazingly beautiful. My family has enjoyed family vacations there for many years. It wouldn’t be summer without several camping trips there. I love all the lakes, but Lost Creek is my favorite, when it isn’t drained because of drought years. Another amazing thing to do is hike/climb Bald Mountain. My daughters and I counted over 400 lakes visible in the surrounding area. From the top you can see the entire back of the Wasatch Range, and clear into Wyoming. East of Mirror Lake is wilderness, so it’s fun to get such a tremendous view from the flat top of the highest mountain. This is not a climb to take young children on. There is a very scary switchback near the top, that is gravelly with loose soil, and slopes to the edge of the straight drop off. My sneakers had very little grip coming back down! But that hike was really worth all the work. I will always treasure that memory! If you go during July or August, be prepared for Mirror Lake to turn into a city. 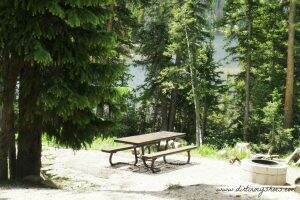 We prefer to camp at nearby Butterfly Lake Campground. It’s a little more rustic and much smaller which makes its much less crowded. Also, don’t forget the bug spray. We love Ruth Lake as well. Also try Fehr Lake – another fantastic kid hike. I think we were lucky because although we were there in July, it was mid-week and much less busy. Great advice about Butterfly Lake! I have seen the sign for it several times while driving along the road and have heard great things, but I will definitely have to stop there next time and check it out!